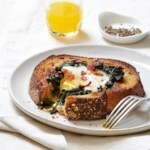 In this satisfying healthy breakfast recipe, bacon and cheese are tucked into the omelet. The key to this omelet is cooking the eggs over low heat so the curds set up nice and soft. 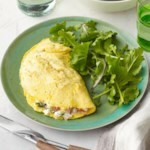 A splash of milk in the eggs is added insurance to keep the omelet from turning rubbery. Whisk eggs, milk (or water), pepper and salt in a small bowl. 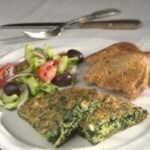 Melt butter in a small nonstick skillet over medium-low heat, tilting the pan to make sure the entire bottom is coated. Add the egg mixture and cook for 1 minute without stirring. 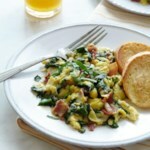 Sprinkle bacon, cheese and chives over one half of the eggs. Cook for 1 minute. Using a flexible spatula, lift the bare side to let raw egg from the middle flow underneath; you may need to tilt the pan slightly. Continue lifting in different spots until there's almost no raw egg on top. Cook 2 minutes more. Using the spatula, flip the bare side over the filling, folding the omelet in half, and cook for 1 minute. (If the eggs are starting to brown, lower the heat.) 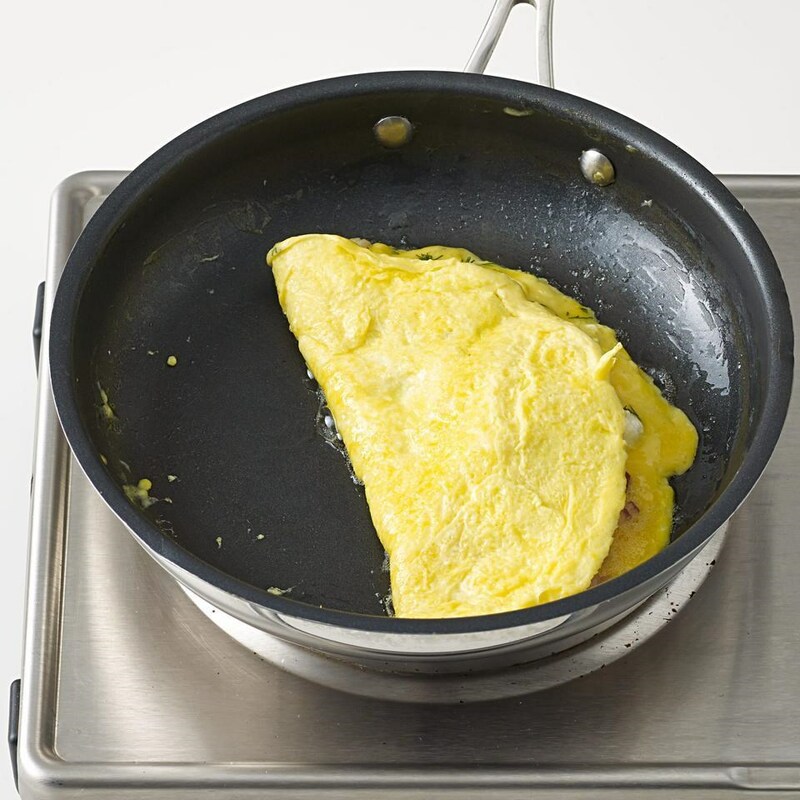 Carefully flip the omelet over and cook 1 minute more. Serve immediately, garnished with more chives and pepper, if desired.